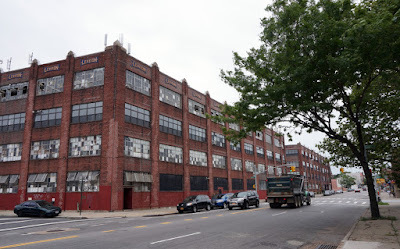 The Leviton Manufacturing Company was established by Evser Leviton and his son Isidor Leviton, in 1906 on the Lower East Side. The company began selling brass mantle tips for natural gas lighting, but with the advent of electrical lighting evolved into producing electrical components. In 1910 Isidor developed a screw in fixture for Edison light bulbs that became the industry standard, and today Leviton Manufacturing is the largest manufacturer of electrical wiring and equipment in North America. As production grew the company inevitably needed additional space. Real-estate in Greenpoint offered a better opportunity for expansion than that of the Lower East Side, so in 1922 Leviton came to Greenpoint after acquiring TECCO’s plant. 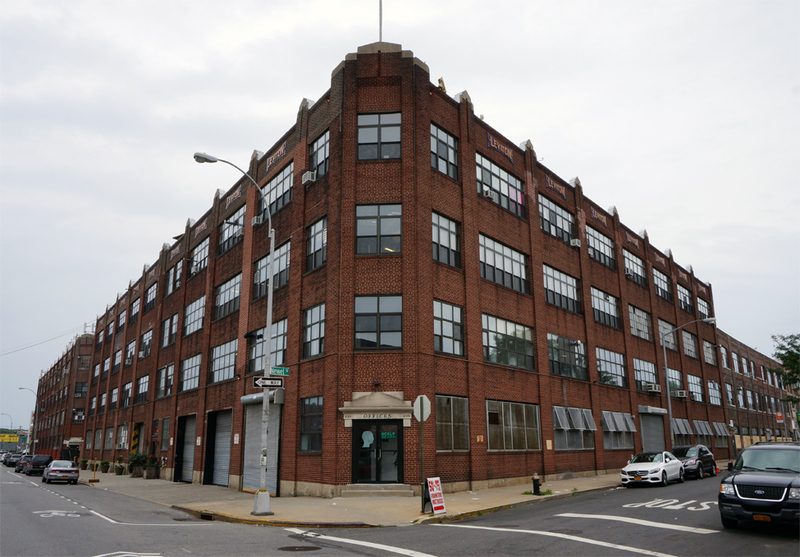 The Art Deco style factory and warehouse took up two blocks between Newal and Jewel Streets. 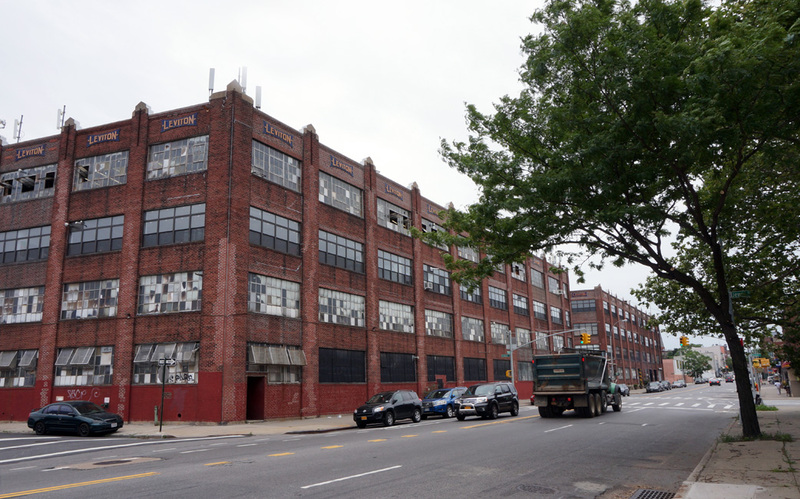 Leviton Manufacturing remained in the neighborhood until 1975 when they relocated to Little Neck, NY. 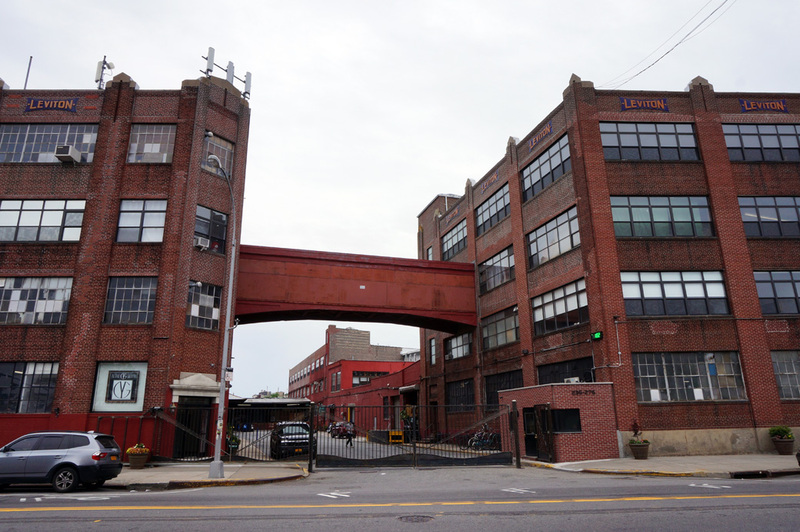 The Greenpoint facility, currently known as the “Greenpoint Industrial Center”, now hosts various light manufacturing and artisanal companies, as well as an art gallery. The workers of the Leviton Manufacturing Company also have a notable history. Health insurance, vacation time, and sick leave are benefits that were hard won by the labor movement. While the Leviton Manufacturing Company provided some benefits to their employees, most employees did not find them substantial enough, and they looked towards unionization for help with securing better benefits and working conditions. Isador resisted unionization of his company leading to violent clashes and crescendoing in a strike from August 28th, 1940 to June 24th, 1941. During the strike the 1,700 workers, mostly women, voted to be part of the Local 3 of the International Brotherhood of Electrical Workers. The workers gained an ally in First Lady Eleanor Roosevelt, who on February 4th, 1941 became the first, wife of a sitting president to publicly support striking workers. She stood with the striking workers and delivered a speech in support of their efforts. At the end of the strike the Leviton employees managed to secure $15.50 a week minimum wage, a 10% raise for those already receiving at-least $15.50 a week and one week paid vacation. Brave efforts like theirs undeniably paved the way for labor rights many people take for granted today. Brooklyn's Historic Greenpoint by Brian Merlis and Riccardo Gomes. The Newtown Pentacle "Leviton Factory"